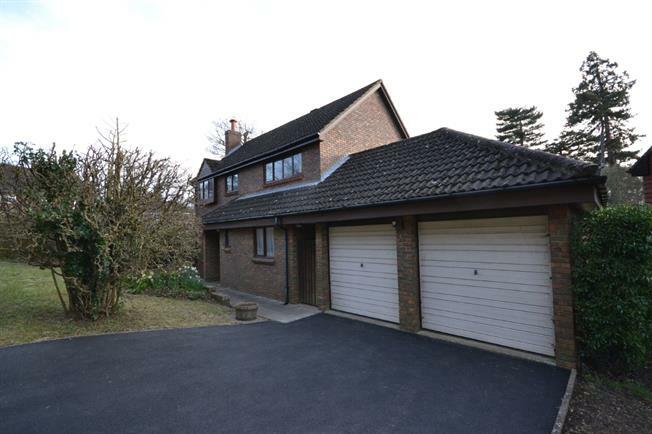 4 Bedroom Detached House For Sale in Tunbridge Wells for Guide Price £800,000. Guide price 800,000 - 900,000. Freeman Forman are delighted to present this four bedroom detached property in the highly sought after road of Camden Park. Occupying an enviable position towards the end of the road peace and quiet can be enjoyed at all times. Being so centrally located the new owner will be able to enjoy a short walk to Tunbridge Wells town centre and mainline station to London. The accommodation is comprised of a large open plan living/dining room with doors leading out to the garden, the kitchen/breakfast room set to the side has access out to the garage. A separate study is also offered on the ground floor. Stairs rise to the first floor where four bedrooms are offered, three of which are doubles one with an en-suite shower room and one single bedroom, a family bathroom is also offered. Outside a double garage, driveway and large south facing garden adds to the extra space on offer here. The property is in need of modernisation and could be an incredible family home for the next owners. A viewing comes highly recommended.